If you’ve ever been to the papernow.org website, you’ll agree that it’s pretty simple and interactive. 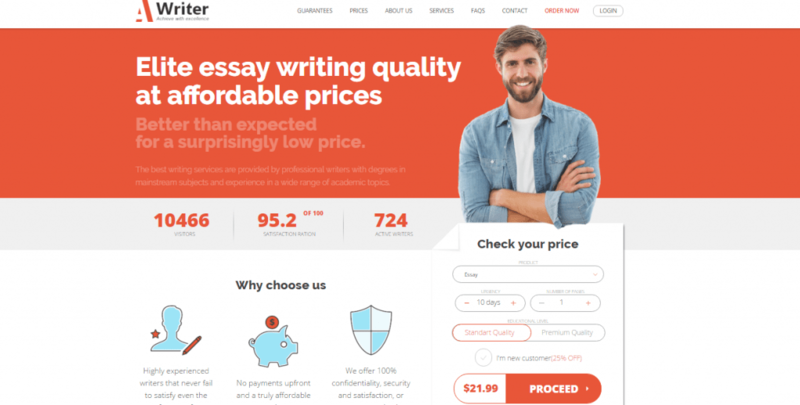 It’s modern, it looks appealing to students, and although it may not be outdated, it isn’t exactly the most popular writing company. This is the reason why we set out to do a thorough papernow review, because although not known, it might not be a bad service. We ordered a paper, and went through the entire process, so you wouldn’t have to make that risk. Keep on reading to find out whether they are going to be what you’re looking for. There’s no separate page dedicated to writing services, which was quite disappointing. We wanted to see if we could order a book report, and it wasn’t visible right off the bat. Once you scroll down to the bottom of the page, you’ll see quick navigation that lists more than a dozen services that they have. We contacted customer support just to be sure, and they accepted our order. Overall, papernow.org does have a pretty good selection of services that you can rely on, although it could be indicated in a more organised way. If you don’t like to spend time trying to figure out which services they offer, because it’s simply not displayed in a place where you can obviously see it, you’re not going to enjoy their website, and it might even put you off ordering. We were thrilled to see plenty of discounts. There is a papernow.org discount for newcomers and for loyal customers. They have a discount code for new customers, as well as a referral program and a membership program, which means they reward all customers. As far as pricing is concerned, they start of with $11 per page, but that’s for a deadline of 20 days. Since we wanted to test out how fast they are and whether they meet your deadline, we chose a three-day deadline which cost us $20 per page, which isn’t exactly cheap. This papernow.org review wanted to find something that’s more affordable, and if you want to rely on their help consistently, it just wouldn’t fit your budget. When we saw the samples, we were thrilled. But, when we got the actual paper, it didn’t really look like it was written by writers with a Master’s Degree or a pHd. It was great, but definitely not top-notch quality. But for that price, you’re expecting more, you’re expecting everything. The standard is definitely not as high as it could be. Given that within those three days we couldn’t talk to the writer himself, we never actually gained insight into who was actually in charge of the paper, which is a slight disappointment. Our experience with papernow.org wasn’t terrible or too disappointing, but if we are to be honest, this isn’t the kind of service that left us in awe. We would definitely continue to search for a service that has it all.